Project Goal(s): Students work in small groups to create short plays that illustrate the human stories behind statistics. Through a residency with Epic Theatre Ensemble, students work in small groups to create short plays that illustrate the stories behind statistics. They research a moral issue of interest, present the statistics they find on their topic, and write short scenes to show what each statistic means in context, and what details it may conceal. In this way students get to engage with statistical research, applying the theories learned in class to real situations, and using statistics and theater to create an informed dialogue about their chosen issue. The statistics teacher and Epic teaching artist co-developed a rubric that equally weighted the math content and the theatre lens. Students had to research relevant statistics, integrate them into the script seamlessly, and then make a compelling story (so that it would more than factual recitation). 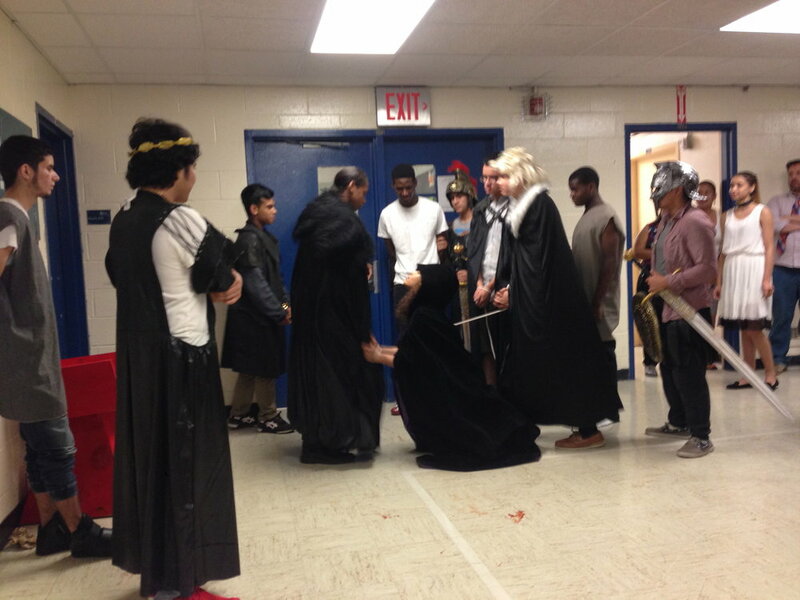 Project Goal(s): Students reinterpret, update (if necessary), and transform the ideas of a Shakespeare play into an interactive and immersive dramatic production in the school hallways. Students will read, act out, interpret and discuss the year's Shakespeare play, thinking throughout the unit about what will be significant to represent in a shortened, adapted version performed for their peers. As they finish the reading, students will identify the big ideas and make decisions about how to stage the key scenes in different areas of the school. They will use the last three weeks to do production design, costuming and lighting (using existing materials at the school) before staging interactive performances. ETA funds were used for cardboard, costumes and props. "Students were engaged and excited about Shakespeare because of the resources that ETA poured into our project. It made the learning of this Old English play more accessible and understandable to students who have struggled with this material. 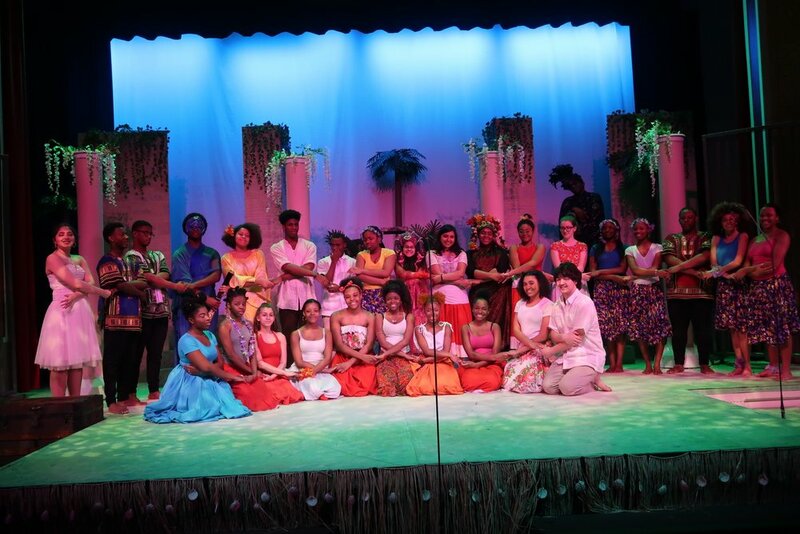 Additionally, the community got to see the hard work and artistry of my junior class and it made them excited for future projects that may occur when they become my students." 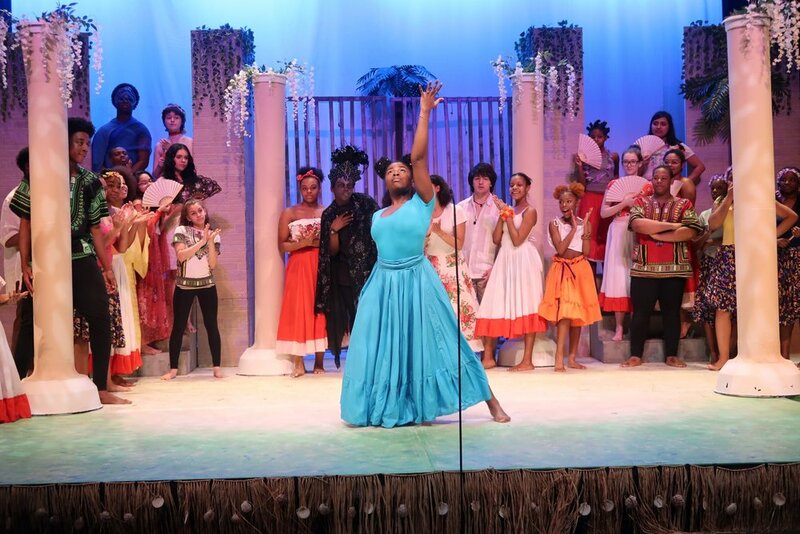 Project Goal(s): Four teachers will attend BAM’s Shakespeare Teaches Teachers professional development sessions relating to performance in the classroom, and then we will bring 136 students to see a live screening of Julie Taymor’s A Midsummer Night’s Dream. The teaching artists will provide professional development and instruction regarding Shakespeare performance techniques in the classroom. Teachers will be equipped to turnkey those activities to the students, and will then participate in a performance themselves in the culminating event on 4/1/17. The teaching artists’ PD sessions will also provide guided curricula for Romeo and Juliet and A Midsummer Night’s Dream. ETA funds were used for the program fees. Project Goal(s): To provide theatre students with an opportunity to learn physical theatre techniques in masks and to to make their own masks. Students begin on their feet, learning techniques for acting in neutral, full-face larval and character masks. Inspired by physical improvisations set to music, and images from photographs and magazines, students develop original characters, each with their own idiosyncratic gestures and movement. Next, they work collaboratively in small groups to devise short narratives featuring their characters, a particular setting and theme (such as loss, generosity, competition, first love, immigration). For a month they are immersed in the rigorous process of building masks from scratch, learning how to highlight and exaggerate character traits using plaster, papier mache, clay, and acrylics. The culmination of the program is a performance of eight original works of Mask Theatre set to music. ETA funds were used for the teaching artist fees and art supplies.